When most people hear the name “Willa Cather,” they think of the Pulitzer Prize-winning author’s ties to the prairies of the American Midwest. But a new collection published by Carnegie Mellon University Press uncovers Cather’s work from a fruitful decade when she lived and wrote in Pittsburgh. The late author, poet and teacher Peter Oresick edited “The Pittsburgh Stories of Willa Cather,” in which he gathered six of her short stories written between 1896 and 1906. Oresick also wrote the introduction, which describes Cather’s work in Pittsburgh, first as a writer at a Shadyside women’s magazine and later as copy editor and music and drama editor of “The Pittsburgh Leader.” He noted that the author—best known for her book “O Pioneers!”—maintained a writer’s studio in the Steel City until 1915. Cather’s most anthologized short story, “Paul’s Case,” is a portrait of a troubled Shadyside teenager whose life is transformed by the arts. Landmarks like the Carnegie Music Hall, the Hotel Schenley (now the University of Pittsburgh’s William Pitt Union) and neighborhoods including Oakland, the Lower Hill District and Shadyside appear frequently. According to Gerald Costanzo, Oresick’s final book is a natural extension of his longstanding interest in the literature of western Pennsylvania. A native of Ford City, Oresick attended the University of Pittsburgh and spent his adult life in the city. “He was very loyal to his roots,” said Costanzo, founding director of CMU Press and professor of English in the Dietrich College of Humanities and Social Sciences. Oresick was also highly regarded in the Pittsburgh literary community. Cynthia Lamb, senior editor at CMU Press, added, "Oresick was foremost a gentleman and a great friend. It was an honor for me to have had the opportunity to work with him." 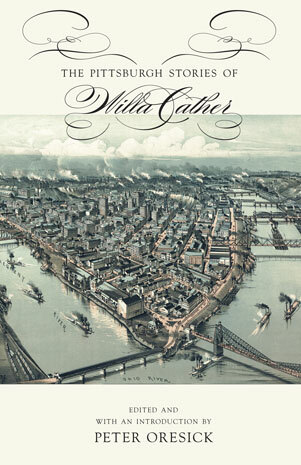 “The Pittsburgh Stories of Willa Cather” will be released on October 11. It is the second volume in the Marianna Brown Dietrich Notable Books series, following “The Collected Stories of Gladys Schmitt.” The series honors William S. Dietrich II's gift to Carnegie Mellon – the largest gift in the university's history. In response to the gift, CMU renamed its College of Humanities and Social Sciences after Dietrich's mother, Marianna Brown Dietrich. John Lehoczky, dean of the Dietrich College at the time of the gift and renaming, established a fund for the press to publish books of merit.